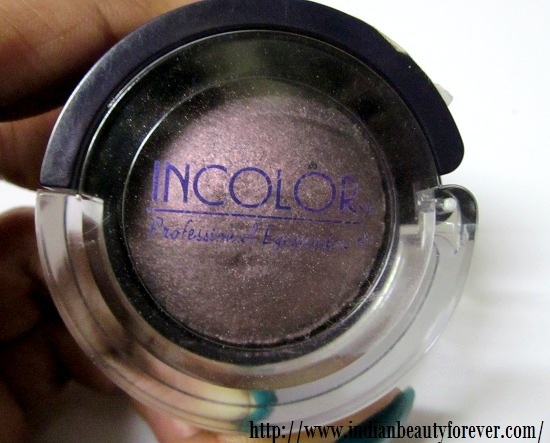 Today, I will review a single eye shadow which I have from the brand Incolor. 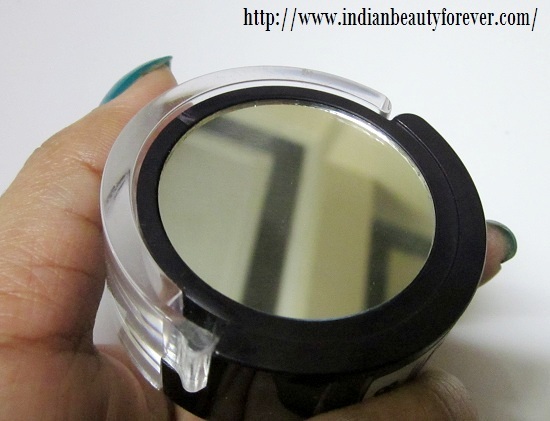 This brands are not available everywhere online however, this single eye shadow I bought is from Flipkart.com. I like the shopping site Flipkart.com especially for the electronics. Well, its not a flipkart promotional post.. It was just a random thought. 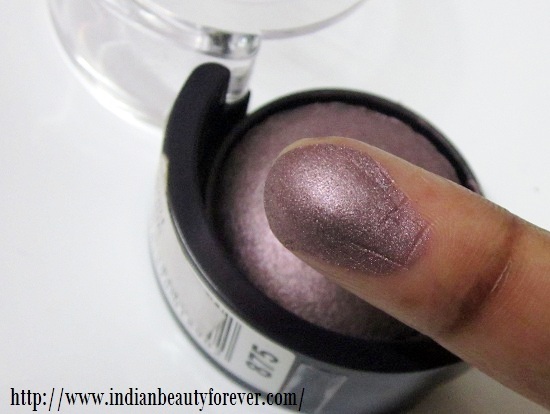 :D.
Price: This Incolor professional eye shadow comes at 120 INR I suppose as I do not remember the actual price and could not find it there anymore. I have used their purple one earlier. you can see here. My Take: This single eye shadow has a very interesting packaging with a large enough mirror on the back side and it opens as if you are trying to tear it apart. Yes! That’s what its mechanism is! you have to pull it apart to open it as the top and bottom part are overlapping. So, as per me packaging wise it is really nice. The product looks like a baked eye shadow and has a dome shape. Texture of this eyeshadow is pearly and satiny not powdery which makes it last longer on the lids even without the primer. Primer are not only known to make your eyeshadows last longer but also give them more intensity. 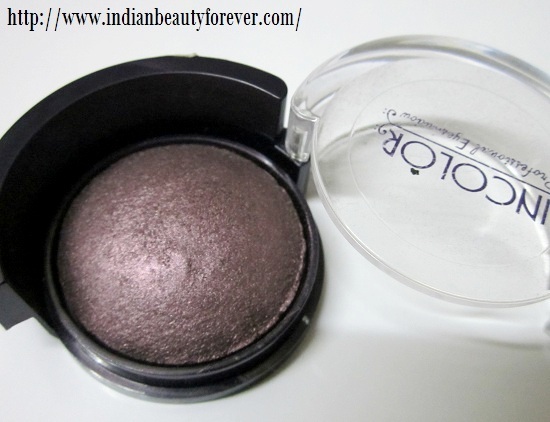 In this case, this eye shadow can be used wet as well there by giving you more intensity or pigmentation. 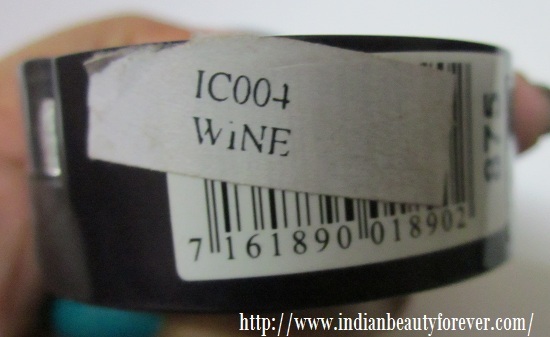 It has a very good pigmentation even in the dry form that as a different thing that no where it is mentioned. It was just my finding for this product. This color that I got is called wine which is a plumy shade. I have already used it HERE for the eye makeup as one of the colors. The shade is mentioned on a piece of tacky paper sticking on the side of the pack, it did not like that at all. Will remove it completely, it looks cheap. Staying powder is decent. Applicator is missing but that okay, in anyways I am not going to use the tiny, weird applicators that come with the eyeshadows. I think it is not at all a bad product at this price. Beautiful colour....and so pigmented too! I was not expecting them to be so pigmented! I agree Nids, they have so many shades to choose from and i guess the price is not same everywhere like the VOV cosmetics. If you spot them try at least one, they are good. It's a pretty plum shade, great review dear. Where from you get this brand? I got this from Flipkart dear and they were available on snapdeal too but now sadly they are not there, i wanted to try other shades too. That's a nice shade and I like the pros you have mentioned. Where can I check the rest of the colors? Did you buy it online? 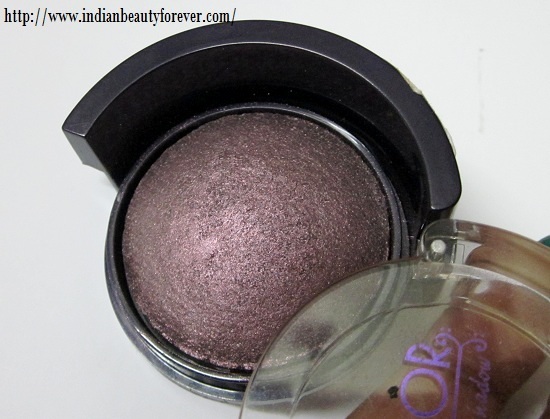 I found only one shade on flipkart and that too for INR 160. Would like to buy. Why do I see a mirror like cover in one of the pics? Didn't find a mirror in other clicks. Indeed they are nice Gagan, I also wanted to buy more but they are no longer on the flipkart and snapdeal. Mirror is at the back. Ahh so the mirror is there and I was not mistaken! In Delhi you can get them in stores too but not available here. I have Incolor eyeshadows in Violet and grey shades. They have really really rich pigmentation! But flipkart people destroyed my grey one. It was spilled all over the packet:-( This one is also a nice shade, I wonder why I didn't order this one! It's cheating! Why don't you do an EOTD with it??? You have beautiful eyes, just flaunt it! I also have two of them in wine and violet. Both are pretty shades. I do not see these at Flipkart now, i think they have stopped selling them . They are great for the price and very pigmented. Its really pretty and versatile , wearable too ! where is EOTD?? I love your looks and it actually helps better is judging shades..
hey dear, will soon update the post with EOTD.. I agree i helps judging the product better.